SummitStaffProudtoSupporttheMidMaineHomelessShelter - Summit Utilities Inc. 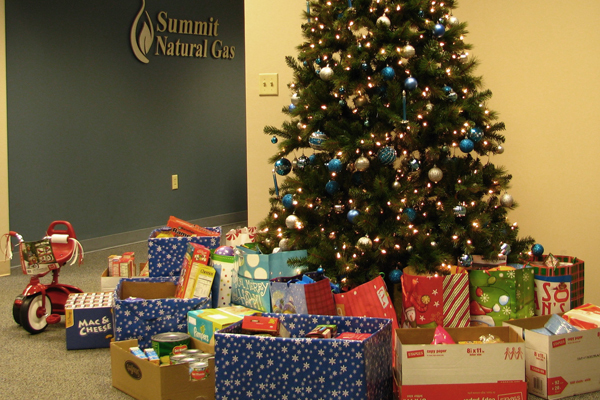 This week, Summit Natural Gas of Maine staff donated a collection of toys, clothing and food totaling more than $1,200 to the Mid-Maine Homeless Shelter in Waterville. In 2014, the Mid-Maine Homeless Shelter has provided a temporary home for 391 guests. The average stay for a person at the shelter is from 45-90 days. The shelter provides each guest with a case worker to assist them with an action plan assisting them with ways to find stable housing and to help prevent homelessness in the future. They offer a variety of programs to ensure education and help support each guest within their daily lives. Summit Natural Gas is proud to support this local organization and continue to build stronger communities in the areas we serve.